Chennai Super Kings Skipper MS Dhoni has been fined 50% of the match fees after he breached into the field showing anger towards umpire’s decision in the CSK vs RR match on 11th April at the Sawai Mansingh Stadium in Jaipur. MS Dhoni who is popularly known as captain cool lost his cool and calmness on the field. However former explosive Indian opener Virender Sehwag has said that former Indian captain was let off too easily and that he should have been punished more. 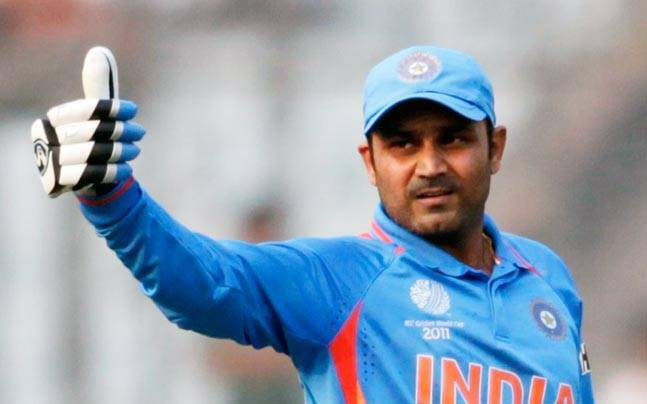 According to Sehwag, Dhoni should have been banned for 2-3 games for storming into the field. “I feel Dhoni was let off easy and should have been banned for at least 2-3 games. Because if he did this, tomorrow another captain can do the same. Then what is the value of an umpire,” Sehwag, known for his straight talk, was quoted as saying by Cricbuzz. He also said that he has never seen MS Dhoni never lose in calm when he played for the Indian side.